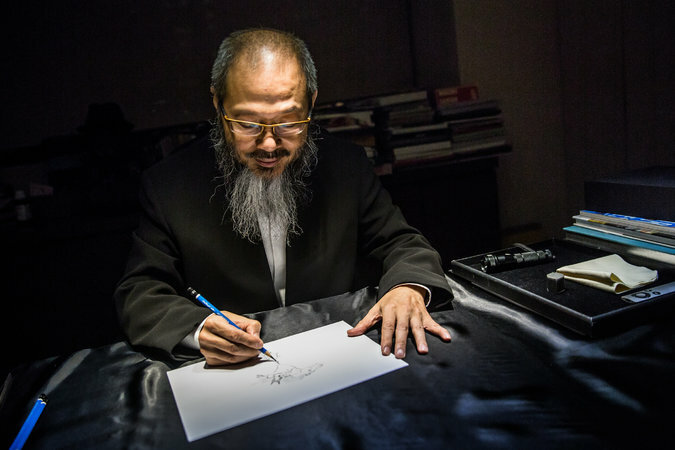 Wallace Chan is one of the best high jewelry artists from Asia. Each piece the artistic jeweler creates is a unique treasure, full of a high degree of originality and uniqueness. Inspired by colors, movement and insects, Chan’s work has been evolving until reaching the apogee of a unique style among the high jewelry world. His most recent masterpiece entitled The Waves is a dream come true. Discover everything. 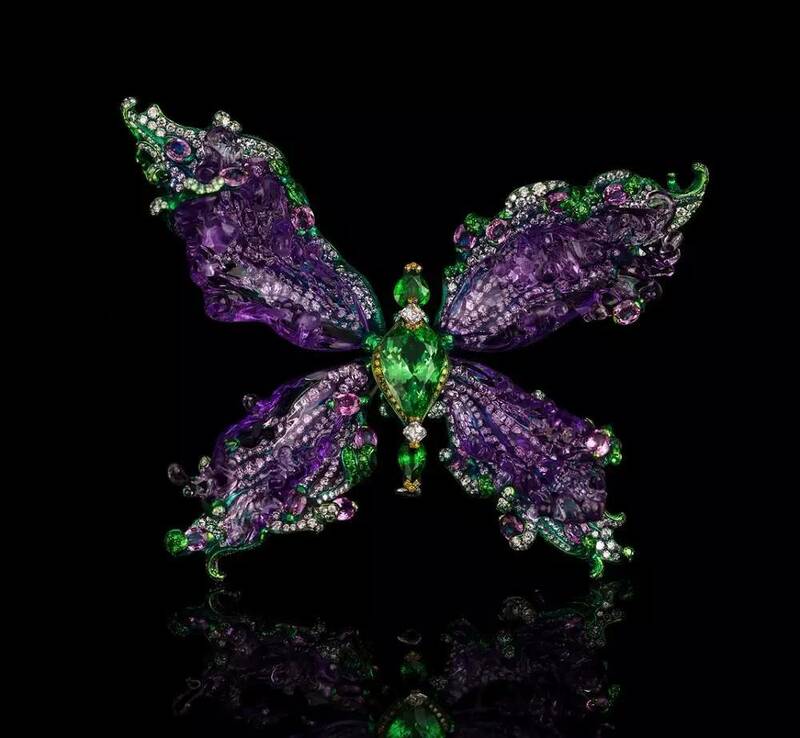 The Hong Kong luxury jewelry artisan has still from young age been “curious about how things move” and thought of butterflies as “flying colors”. Indeed, the “flying colors” evoque a movement and a rythm – qualities that we can now feel in most of his own masterpieces. When he first opened his own jewelry workshop, in 1973, he set about imitating butterflies’ forms. But nearly five decades later, Wallace, 61, is taking the concept even further. “I’m trying to break though the limit of reality and create another shape of flying colors,” he said. Finally, the dream of the most perfect organic jewelry style comes true. Chan’s creativity and competency produced the Waves, two of about 20 pieces that Mr. Chan plans to show at Tefaf New York, the fine and decorative arts exhibition scheduled for October. The real point of the piece, Mr. Chan said, was to capture “all the sound we cannot hear” — like the butterfly’s wings beating in the air. 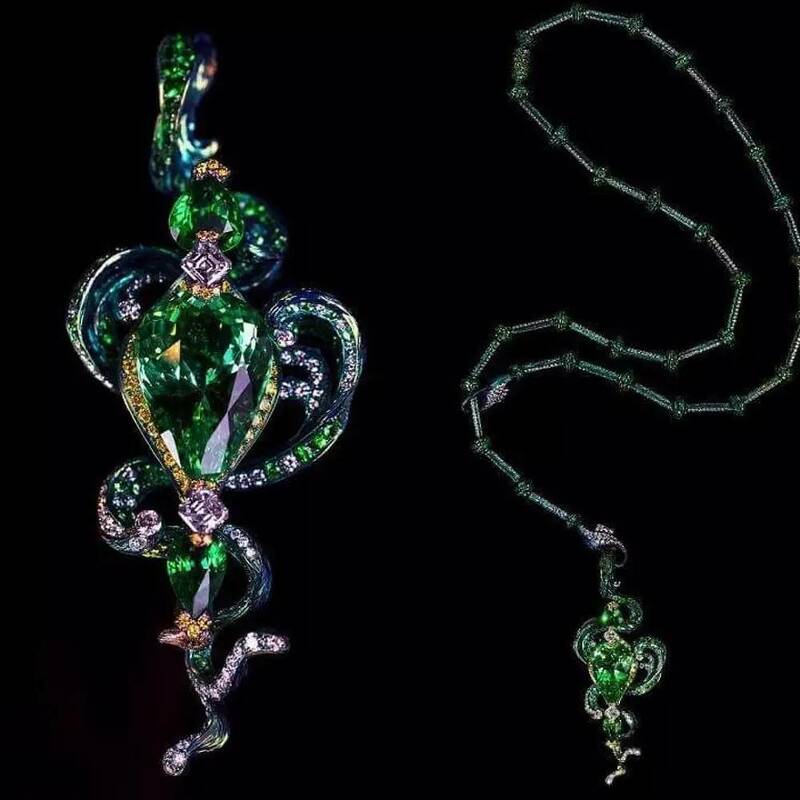 The brooch body ist made of titanium metal, the central mosaic of a 10.70ct of the droplet-shaped cut Shafu Lai stone, the wings part made out of amethyst and diamonds, the mosaic sand fence stone base can be removed inlaid into another necklace on the pendant. The Waves can be configured in eight ways, into brooches, a bracelet, a necklace and pendants. And the central element is discreet enough, the designer noted, to use as a tiepin. An accompanying titanium sautoir, set with minuscule tsavorites, can also double as a bracelet. The world’s top collectors of exclusive design jewels have the opportunity to appreciate or collect Wallace Chan limited edition works by making a private appointment. In case you want to see the Waves in first hand and the other Wallace Chand high jewelry masterpieces you can also visit the Tefaf tradeshow from Oct 28 – Nov 01 in New York city. Do you feel interest in insect and organic pieces of art? Discover the Metamorphosis Collection by Boca do Lobo.